Now, that I had finally secured admission at Deakin University, the thought of accommodation haunted me and my parents. For I was a person who had never been out of the country and now had to travel more than 10,000 km for education in an entirely different land with different cultures and tradition of its own. With no contacts, acquaintances and friends in a foreign land and only a couple of days left for university, finding temporary accommodation was a big task. After thorough research, I came across a place called ‘Barkley Hall’. Barkley Hall, an off-campus accommodation for students that is near to university, provides temporary accommodation for its residents. It consists of communal living where its tenants are offered the care and security of like a home, nutritious and healthy cooked meals, clean environment and all the luxury a student would ask for. As the rooms were reasonably priced and all the factors mentioned above led me to ensure a booking of a room in the Barkley Hall. Strange as it may sound , the staff were kind enough to book the room for me without any security in advance. Now, that the accommodation had been taken care of, it was time for me to embark on one of my biggest journeys to come. When I reached the residence, it seemed very quiet, not what you would expect from communal living, right? 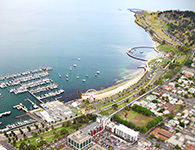 But, then it clicked my mind that the communal living is made of students and other residents who pursue higher education or are new to Geelong, like me. So, I assumed pretty much everyone would be busy around here and also, the timing of my arrival was a little odd. Although I was new to the place, I did not require much help getting around the quarters to reach my room. All I had to was follow the instructions given to me by the administration. There were instructions and signage around each corner that made it a lot easier for me to reach my room. The room was clean and fully furnished. Upon reaching it, I observed a towel, soap, shampoo and some disposable crockery for my personal use. Also, a little note was left for me which gave me a sense of belonging to that place. Though the day didn’t end, the cost of the tiresome travel took its toll not to mention the jet lag. Ultimately, I gave up to my body and went for a couple of hours of sleep. During the late evening, I met the house parent, Stuart, a humble and polite gentleman who looked after the residence and its tenants there. We conversed for a little while and then he showed me the way around the quarters. As I was feeling a little hungry at that instant, I asked him for a place where I could grab some food. Since the timing was out of hours, the evening communal meal was already over. However, he assured me that the kitchen would be filled with supplies and provided me with enough fruits for three people to get through the night. The kitchen was filled with a variety of supplies and fully furnished with crockery and equipment for the tenant to use. All the tenants were given their private shelf where they could store their belongings and use it according to their convenience. Right across the kitchen, there is a lounge room where residents gathered most of the night and had fun playing card games where I always won (just bragging), watching TV (mostly Quantico) or simply sharing their life experiences. Strange as it may seem, I even met a gentleman there who admired Amitabh Bachchan a lot especially his movie ‘Shahenshah.’ I came to know that even Bollywood is quite popular across the globe next to Hollywood. Barkley Hall is quite popular for its communal meal among its tenants. The residents often show up in time in the evening to socialize while having dinner. The dinner often starts with a short prayer where everyone pays their respects to the Almighty and the bread they will be served. Vegetarian, Vegan or Halal: the chef prepares food in accordance with the resident’s requirement. For some tenants, dinner is just an excuse to show off their table tennis (TT) skills, as they get to access the TT equipment late evening after the dinner. I had my first TT lessons there. Ryan, a resident of Barkley Hall, and also my TT coach asked me to think of TT as a cricket where there are only two players i.e. two batsmen passing the TT ball to each other. Though the analogy was quite unconventional, putting it in simple terms like that helped me to get a hang of that sport which I believe I did pretty good for a first timer. Some days it is TT and, on some days, it is basketball. There is a huge playground just at the outskirts of Barkley Hall. Also, me being a not really big fan of basketball, I tried this sport with all of its intricacies for the first time. There are just too many rules that revolve around that sport. Every time when I thought I was getting good, I committed a foul. All the credit goes to my team member Ghaliya, who gave me all the wrong guidelines just to have a giggle in the end. Overall, I had fun up until when I accidentally sprained my knee. Though it didn’t hurt at that moment, the next few days I had to walk with a limp. Also, I regretted being reckless while playing that day but today when I look back I don’t have any complaints. Now, all of these instances make me smile in reminiscence. As it is said, every place has its own pros and cons but, in my case, I had only pros. With so much positivity in and around Barkley Hall, I never experienced myself in captivity of negativity. Coming to Barkley Hall was one of the best decisions I could have made where I got the chance to get acquainted with some awesome people and make new friends. Looking back now, I have come to realise that life reveals itself to us in fragments. Though I wish I could have stayed longer but one scene in life is required for another to unfold and hence, life made me move on.